Where to Buy Termidor Foam, Termidor Foam - 20 oz - $25.95 for Sale with Fast Free Shipping! 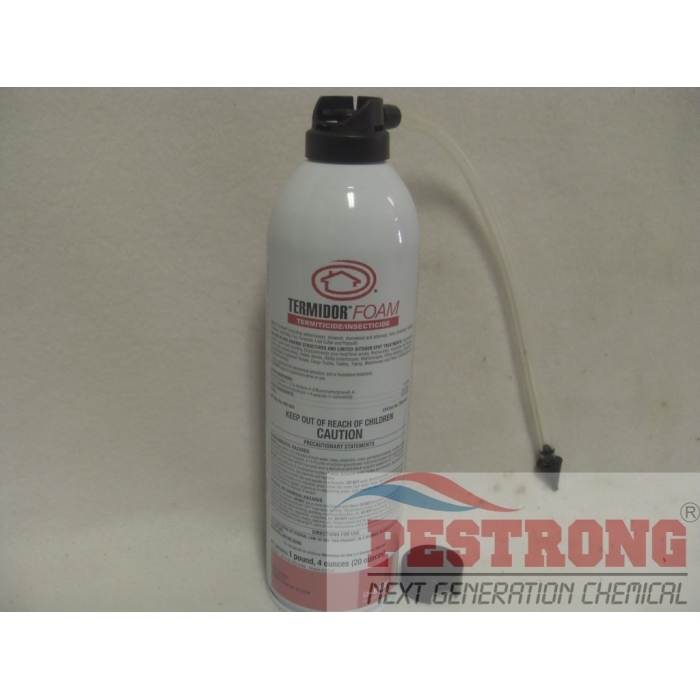 Termidor Foam - 20 oz is easy ready to use termiticide insecticide starts killing termites and ants immediately. Save a ton of money over using an exterminator. I had 5 spots with active termites in my crawl space. I came back after a few weeks and it seemed to take care of all but one where I had to re-apply. Get more cans than you think you need. I bought 6. Product was exactly as described. Starts killing termites and ants immediately and slow long lasting acting. Application could not have been easier. Perfect solution for my house termite attack. Easy to use and convenient. Thanks. This is a great product at a reasonable price. Easy to apply and has all of the "Active" ingredients as other competitors, much cheaper price though, so I'm looking forward to "NO pests" in the years to come after applying this product. It starts killing termites and ants immediately and slow long lasting acting. It is good. Product was exactly as described. Application could not have been easier.